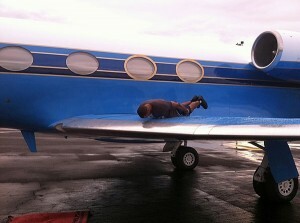 Celebrity Planking Pics: Justin Bieber, Chris Brown, Katy Perry and More! 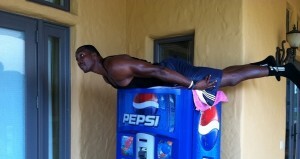 Planking is the latest internet sensation and stars across the globe are joining in on the fun. 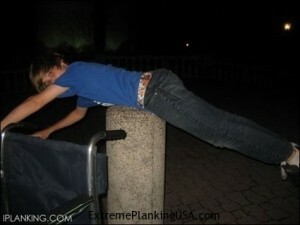 What exactly is planking, you ask? 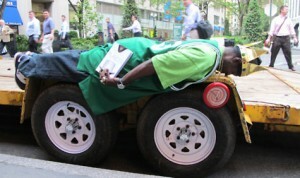 For those of you who don’t know, planking is a game in which participants have friends take photos of them lying flat (like a plank) in unusual, public and often dangerous, locations. 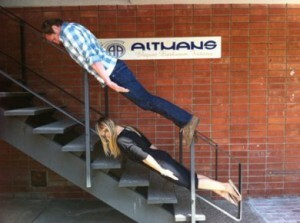 The photos are then shared on social sites like facebook and twitter causing the planking game to continue to gain popularity. 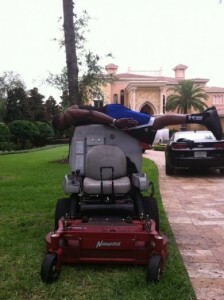 The list of celebs who plank continues to grow along with the rise of planking’s popularity. 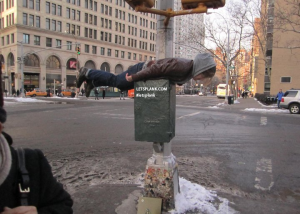 Celebrities such as Justin Bieber, Chris Brown, Rosario Dawson and Katy Perry all enjoy planking- and we’ve got the pictures to prove it! 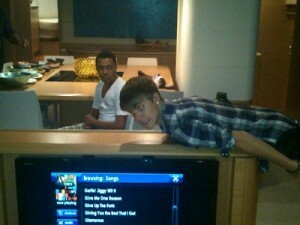 1) Justin Bieber: Teen heartthrob, Justin Bieber, shows off his planking skills- and just barely avoids a planking fail. 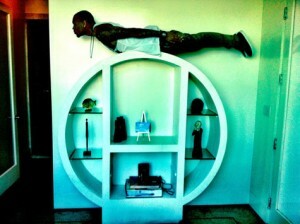 2) Chris Brown joins the controversy by planking on a shelving unit in his home. 3) Singing sensation, Katy Perry, spent her July 4th holiday weekend, planking on a yacht. 4) Rosario Dawson planking on the Jimmy Kimmel show! 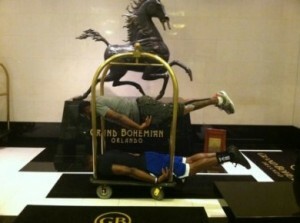 5) NBA stars Gilbert Arenas and Dwight Howard have fun planking, both alone and together. 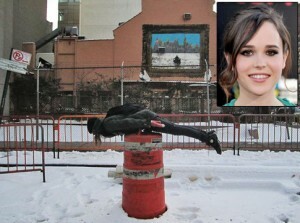 6) Popular actress, Ellen Page, flaunts her planking talent in various locations. 7) Mr. T personally helps actor, Frank Rautenbach, plank successfully. 8) Amber Rose planks in the backseat of a limo. 10) Actress Kristen Bell uses stairs to get her plank on. 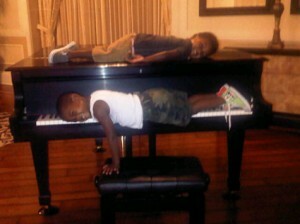 12) Even celebs kids are planking! 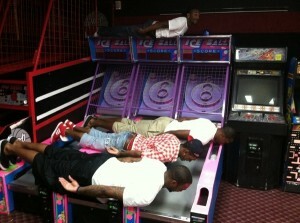 P. Diddy’s Son, Quincy, joins the fad by planking at the bowling alley while Usher’s Sons plank on the piano. 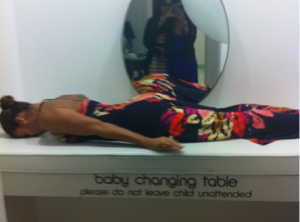 13) “Basketball Wives” reality stars Evelyn Lozada & Tami Roman both take pleasure in planking. 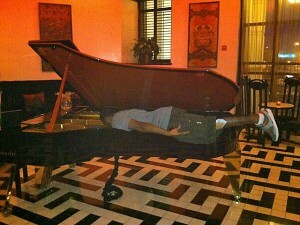 14) Big Sean: Big Sean takes a break to partake in planking. 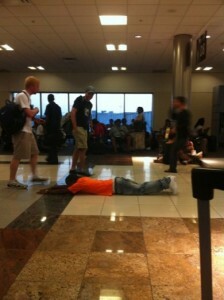 15) Lil Duvall: This comedian stopped to take a planking photo at the airport. 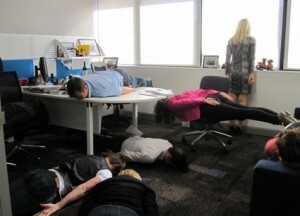 16) Today Show: And last but certainly not least, the entire Today Show crew participates in a little office planking fun.